At Firth we believe that we need to look at the environmental impact of building materials, elements and the building as a whole while ensuring durability and longevity of these buildings at the same time. Our teams are constantly working towards innovating and developing new products to make it easier for our customers to make smart choices towards a more sustainable lifestyle. We are proud to be the 1st concrete manufacturer in the world to get Declare labels for our ready-mix concrete and our concrete masonry products. For us it means we can collaborate better with our suppliers and our customers to recognize how we can design and build for the future to include durability, longevity and provide a pathway to repurpose our products. 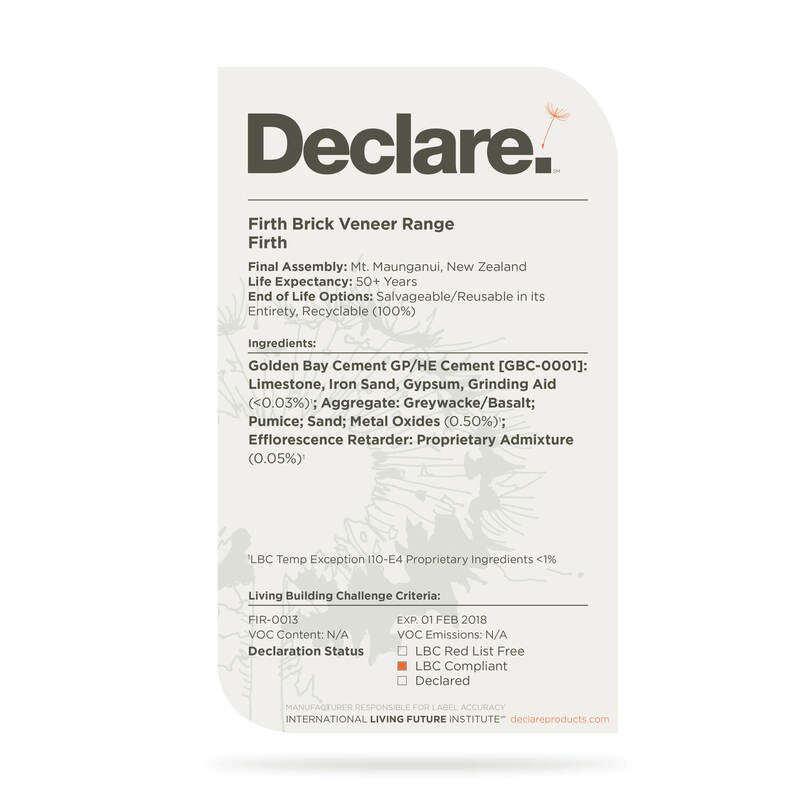 Declare is an ingredients initiative for building products that is designed to shape a greener, healthier environment for construction workers, business employees, and customers alike. Declare is a transparency platform and an international product database that is changing the materials marketplace. It is a nutrition label for the building industry. It helps architects, designers, specifiers, and others better understand a product’s sustainable qualities and environmental effects. The Living Building Challenge is organized into seven performance areas (Petals). Each performance area has a number of more detailed requirements (Imperatives). Learn more about the Living Building Challenge here. Which Firth products carry the Declare label? 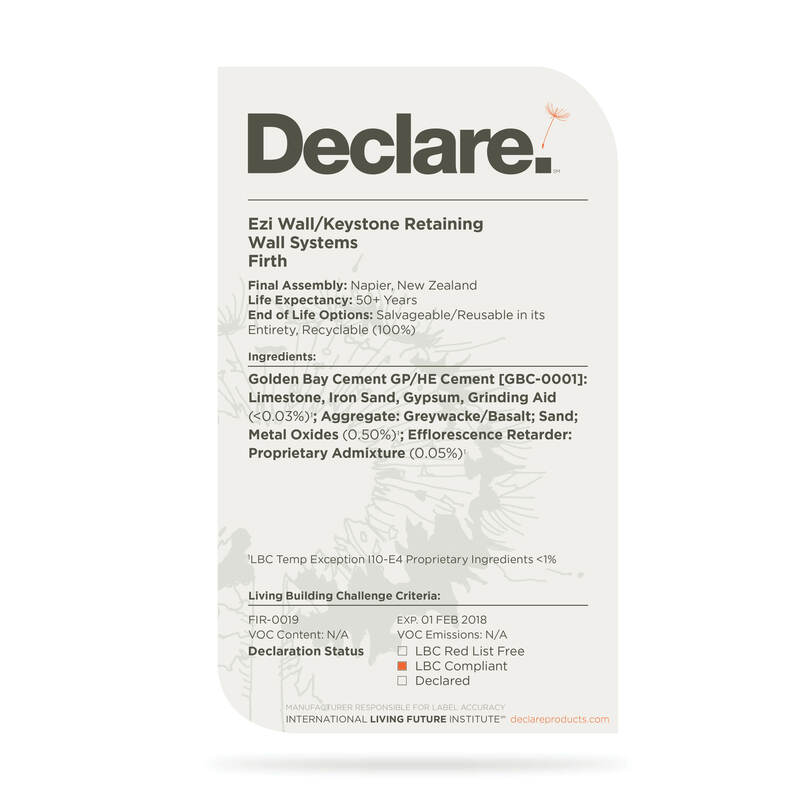 All Firth concrete masonry products including all paving, retaining, bricks, grey masonry and architectural masonry carry the Declare label. 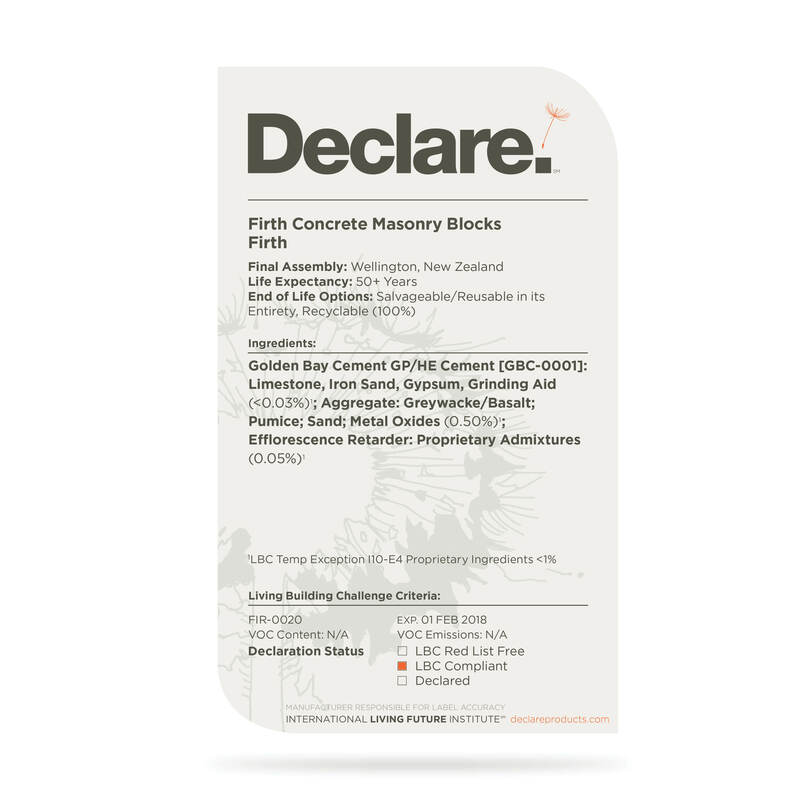 We sell our concrete masonry products through various DIY and trade distributor channels throughout New Zealand. To locate the closest supplier call us on 0800 347841 or click here.